This week’s post was not meant to be another dessert. I had my heart set on grilling some pineapple slices for a salad I’ve been inspired to make but my plans were foiled. I’m off my grocery-shopping game. Over the last few weeks I’ve either walked away with someone else’s shopping cart or have put my items in another. Usually, when the latter happens I catch myself before I make it to the checkout stand so I still arrive home with all my shopping list items checked off. Not so last week. As I was getting ready to prepare the salad I noticed that there was no pineapple sitting on my counter and my refrigerator was sadly missing the arugula that I intended to serve it with. Thank goodness for Plan Bs. We didn’t starve that night but the grilled pineapple salad had to wait another day. Instead, I have another sweet treat. Six neglected bananas on the counter jogged my memory for a simple tart that I spotted in a special winter issue of Food & Wine magazine. Frozen puff pastry? Check. Caramel sauce? This recipe from Zoe Behrens of 1789 in Washington, D.C. called for a quick caramel sauce but I didn’t feel like making my own this time. Call me Sandra Lee for making an already simple dessert even easier–I wouldn’t mind–but it’s just been too beautiful outside to ignore my husband’s invitations to come out and play. A good jar of caramel sauce kept my efforts to a minimum and it worked just fine. This banana-caramel tart is one of the easiest desserts I’ve ever made but you would never guess by tasting it. 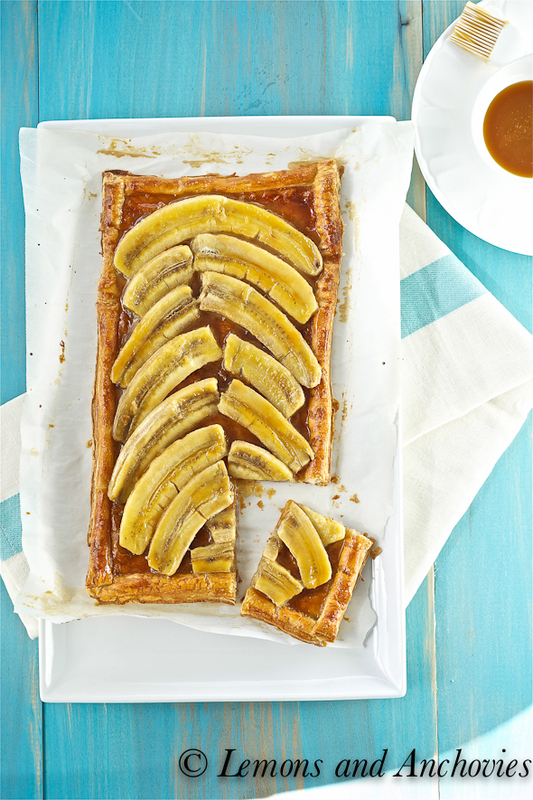 The flaky puff pastry is sweetened slightly by a light brushing of caramel sauce and the bananas are the perfect complement in both texture and taste. The latter almost melt in your mouth. Miss Behrens recommends serving this with ice cream or whipped cream and for a casual dinner party, I just might do that. However, the little square I enjoyed with my morning tea was perfect all on its own. Now you may consider yourself warned to guard your shopping carts if you ever spot me at the grocery store. Today’s the last day to participate in my Edgeware Ceramic Edge Gourmet Knife/Scissors Sharpener giveaway. You can read my review and the details of the giveaway here. One of the easiest desserts you will ever prepare but certainly fit for serving at a dinner party. To prep the pastry dough, roll out the sheet on a lightly floured surface to a 10 x 15 inch rectangle. Cut out about ¾ inch from each side to clean the edges but don't discard the leftover pieces. Transfer the pastry dough on a parchment-lined baking sheet and brush with the egg wash. You can add about 1 tablespoon of water to your egg wash but I didn't in this case. Without the water, the puff pastry will brown more quickly. Place the leftover puff pastry strips over the edges of the pastry dough to create a border for the bananas. Press them lightly on the sheet so they adhere properly while baking. Brush the border with the egg wash and prick the inside of the pastry dough with a fork. Bake the pastry dough on the lowest rack of your oven for about 15-20 minutes or until the pastry is puffed and golden. Remove from oven, press the inside of the puff pastry down slightly and set aside. Turn up the heat to 425 degrees F.
Heat your caramel sauce in the microwave for about 30 seconds to make it runny. This will make it easier to brush on the puff pastry. Brush a light layer on the inside of the puff pastry. 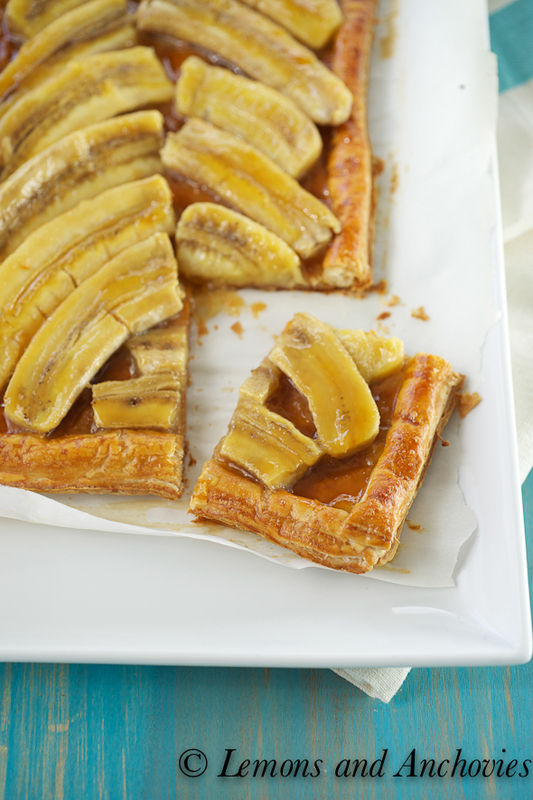 Rub the sliced bananas with the lemon juice and arrange on the puff pastry. Brush more caramel sauce on the bananas and bake for about 10 minutes until the bananas are slightly tender. Let cool slightly and serve with the remaining caramel sauce. This tart is best served the same day--ideally once it's cooled slightly from the oven. 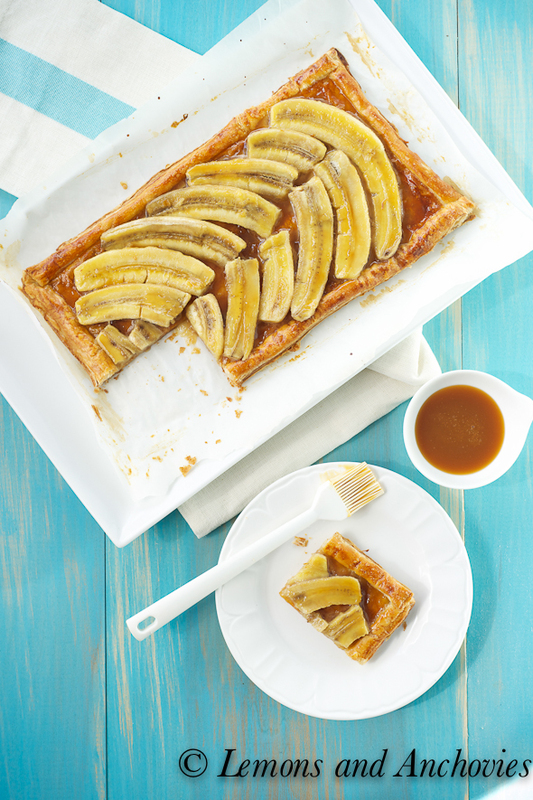 The bananas will discolor and the puff pastry will lose a bit of its crispness because of the caramel sauce. i think it’s always the right time for another dessert! Please keep them coming. The way the bananas are arranged on this is just beautiful! How could anyone look at those beautiful photos of your Banana Caramel Tart and not want to try irt? Thank you for sharing this recipe! 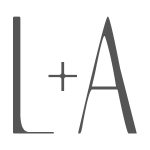 Allen. Sometimes simple yet beautiful is best! Lovely tart, Jean. Have a great weekend! 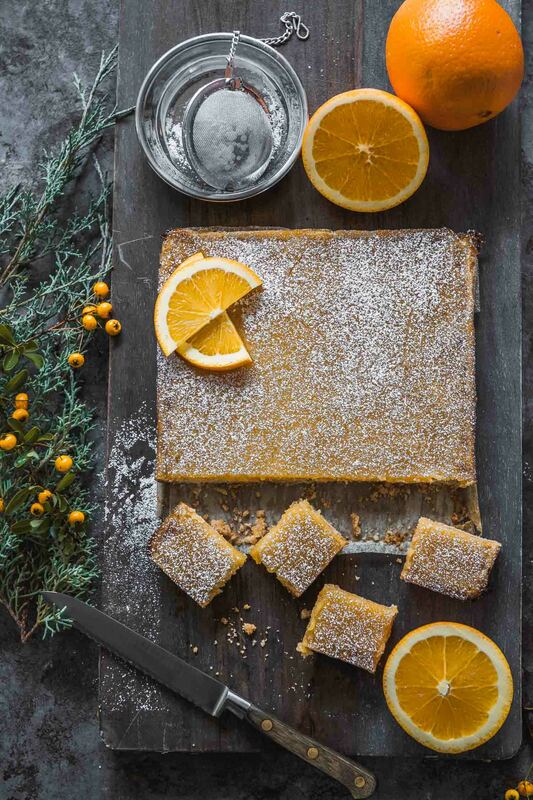 This tart sounds amazing! It is beautiful and I can only imagine how delicious it is…I would love to devour the whole thing! 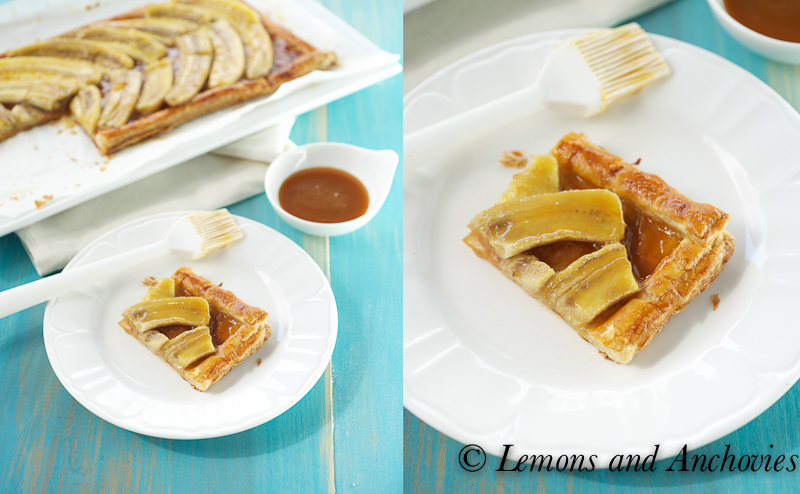 This tart sounds wonderful with all the caramel! A recipe that involves frozen pastry and sauce out of the jar is RIGHT up my alley! Now this is something that I can definitely try without having to get too motivated! The tart looks beautiful, Jean. Can’t wait to try it! You would never know this recipe was easy by looking at it. I can’t wait to wow some guests with this! I am not complaining! :))) This tart look nothing but amazing! One more phenomenal recipe to try with bananas! I’m happy you “lost” your pineapple, i’m so loving this tart! You can keep these coming!! This looks beautiful. I love how you cut the banana into long slices! This banana tart is as sunny and cheerful as Sandra Dee and there is absolutely nothin’ wrong with that! 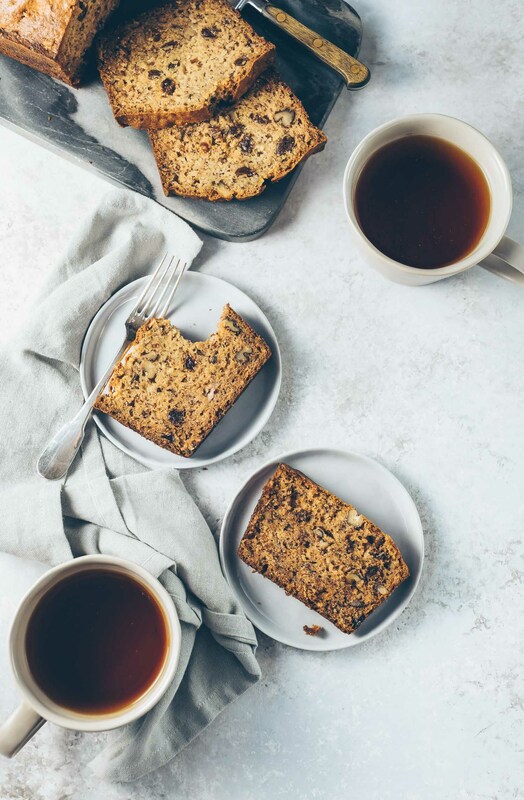 I’m asking my husband to run down to Lunardies tomorrow morning to get caramel sauce and make this instead of banana bread. Bananas in my house are always going bad at the same time. This recipe will rescue my bananas! What a great recipe for ms. puff pastry b/c that’s my only baking skills! Jean this is such a winning combination of flavours! I can tell you this tart wouldn’t last long in our house. Simply gorgeous! This looks great, I love banana in any dessert. And it DOES look like you slaved all day making it! Beautiful photography, as always! Simple to make and SOOOO good!! The combination of banana and caramel is heavenly… Love it! Elegant and to die for! It looks so impressive, yet so easy! This is right up my alley of sweets, love banana and caramel together, beautiful photos that have me drooling! My goodness do you know the way to Liv’s heart!! She is a banana girl through and through… fabulous!! one of those recipes that’s simple yet impressive! You have spoken my language! I am crazy for bananas and love everything you did to this recipe. Easy is good for sure, plus if we can cut down the prep time, we have more time to eat the final results:) Thanks for sharing it! I feel like I’ve been off my grocery game, too, Jean. Haven’t run off with another cart yet, but I’ve come close. There have been broken jars! But I do have all the ingredients to make this beautiful tart – I think I must indulge! 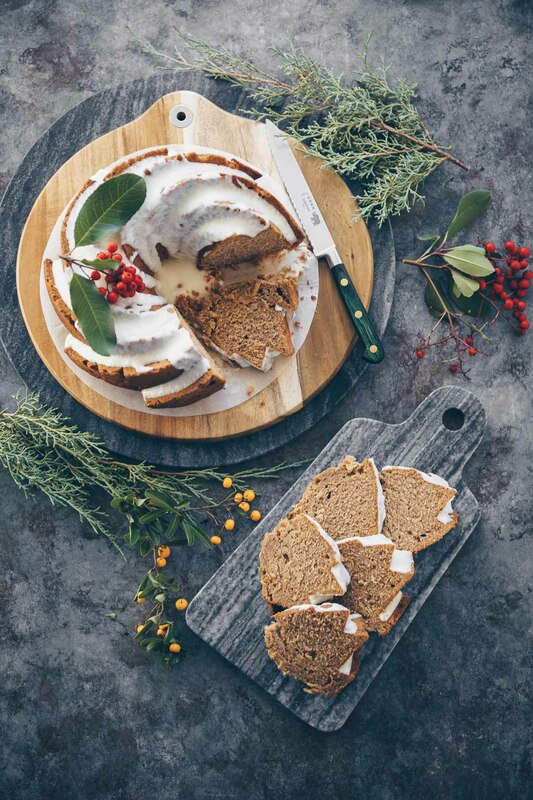 Too funny, and I thought my problem with forgetting the one thing I can to shop for was bad 😉 This is a beautiful tart…so rustic and delightful!